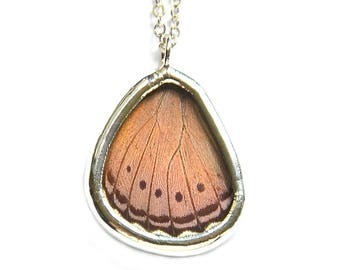 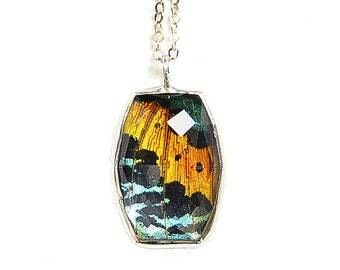 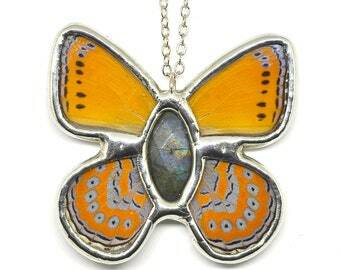 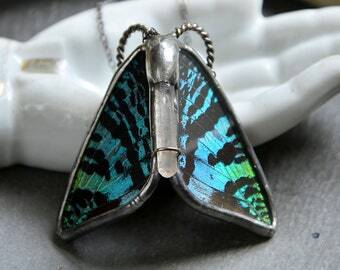 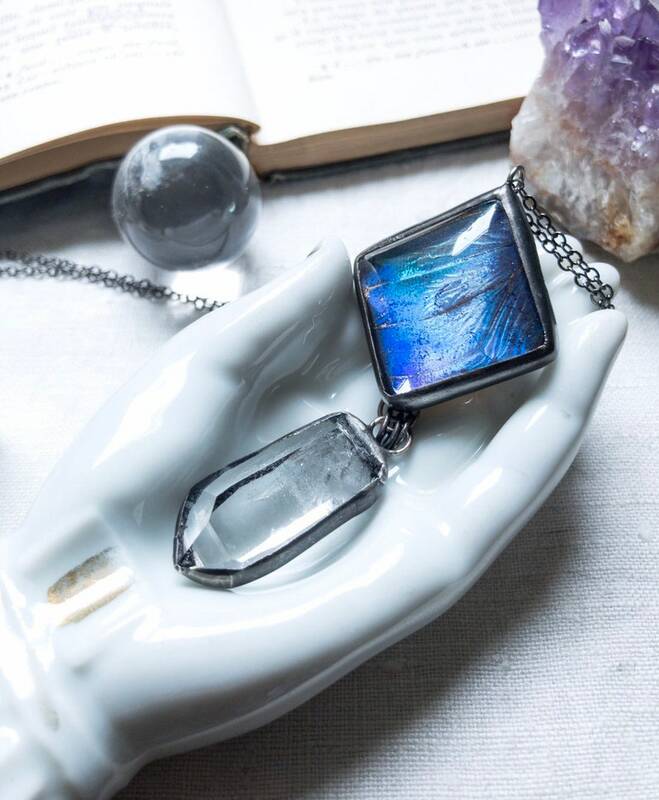 A real butterfly wing has been encased in a magnifying dome and a rough quartz crystal point added at the bottom. 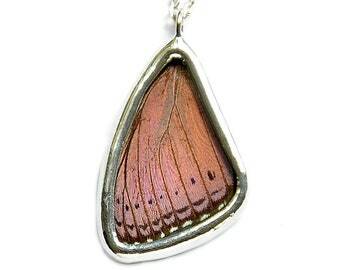 I’ve used lead free solder and oxidized it to give it a rustic antique feel. 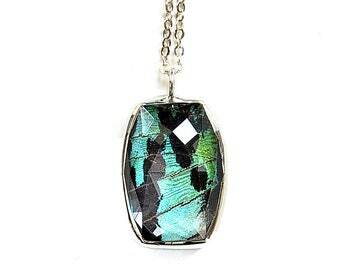 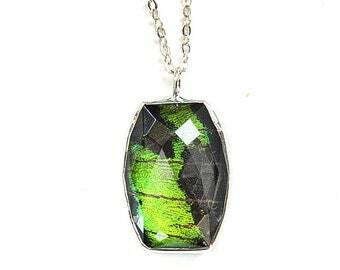 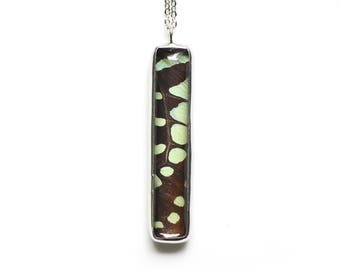 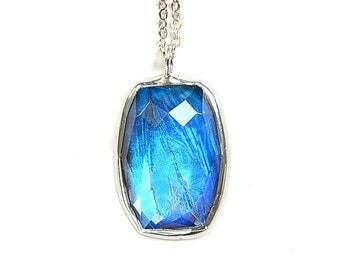 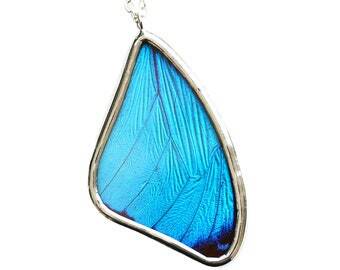 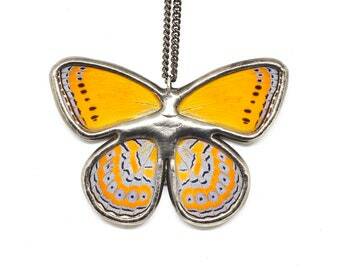 Pendant measures 3” long by 1.25” across and comes with a gunmetal plated chain in your choice of length.